As a professional editor, Mikki Lincoln is used to crimes against the English language. As an amateur sleuth, she's finding catching criminals a lot more dangerous than catching typos . . .
Nestled in the picturesque Catskills, the village of Lenape Hollow prepares to celebrate the 225th anniversary of its founding. Freelance book editor Mikki Lincoln has been drafted to update and correct the script, left over from the town's bicentennial, which is housed at the historical society. The building is being renovated for the first time since that last celebration. 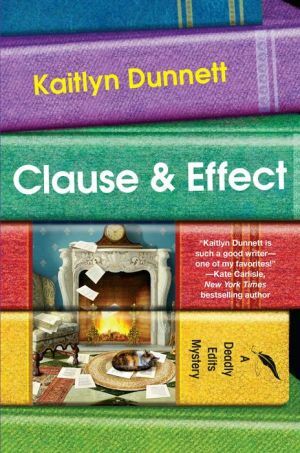 But when construction reveals a shocking discovery—human remains walled up in a fireplace—Mikki shifts focus from cold-reading to solving a cold case. Just as her investigation seems to have hit a brick wall, a new murder rattles the townspeople. Clearly, someone is hiding a few skeletons in the closet. Now Mikki will need to go off script to make a connection between the bicentennial bones and the current homicide. But if this book editor isn't careful, she may be the next one sentenced to death . . .